Chicago’s hitting has been good this year, but not great. 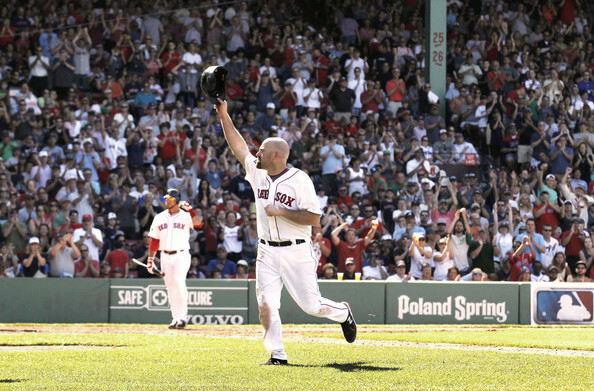 Youkilis has the ability to provide the production out of the 3rd base position needed to help this team reach the next level. It is no secret that the AL Central is perhaps baseball’s weakest division. The White Sox have a golden opportunity to make postseason baseball this year. As we all know, anything can happen in October. Just ask Youkilis. There is heartbreak in England again. For the sixth time since 1990, The Three Lions were eliminated from a major tournament at the hands of penalty kicks. Here is a thought. Win in regulation. PK’s are a coin flip. Even the most casual soccer fan knows that. Unless you play for England I guess. First Serena in Paris, now Venus in London. The 5-time Wimbledon Champion Venus Williams suffered a much earlier than expected first round exit yesterday at the hands of Elena Visnina. Let the “Williams’ Woes” continue. Venus didn’t just lose, she was dismantled by the 83rd ranked player in the world. With both Williams on the unforgiving side of 30 these days, is there any hope for American Women’s tennis? For the last five plus years, talk has centered on the lack of an American presence in Men’s tennis. These days, two American males are ranked in the top 15 (four in the top 50). On the WTA tour, only one player not named Serena is ranked in the top 35 (Christina McHale) (two total in the top 50). Sure American Men’s tennis has its fair share of issues, but Women’s tennis isn’t far behind. Is Matt Forte deserving of the fortune he desires? The NFL is a rough and tumble sport. An average career lasts about 3.5 years. For a starting running back, that number decreases to 2.6 years. Forte now has spent four years as the starting running back for the Chicago Bears. In each of those seasons, he has carried the football over 200 times. The clock is ticking. Forte is refusing to sign a franchise tender that would give him approximately 7.74 million a year. I can’t say that I blame him. Franchise tags are just a sad excuse to postpone the inevitable contract tussle for one more year. Forte wants some long-term security in a similar neighborhood to that received by Arian Foster and LeSean McCoy. All three backs are of a very similar mold and age. Last year, I was perplexed as to why the Titans were so hesitant to give Chris Johnson a long-term deal. After signing the massive payday, Johnson posted career lows in rushing yards, touchdowns, and average yards per carry. He also set a career high for fumbles. Now I understand why Tennessee was so reluctant. In the pass-happy NFC North, and with the arrival of big play threat Brandon Marshall, do not be surprised to see this drag on for a while. Should they show Forte the money? Your guess is as good as mine. Do not forget that Forte missed the last four games in 2011 due to a knee injury. Either way, the damage has been done in terms of relations between Forte and the Bears. That does not bode well for the future. This entry was posted in Miscellaneous and tagged AL East, Arian Foster, Bobby Valentine, Boston Red Sox, Brandon Marshall, Brent Morel, Chicago Bears, Chicago White Sox, Chris Johnson, Christina McHale, David Ortiz, Elena Visnina, England, Euro 2012, French Open, Kevin Youkilis, LeSean McCoy, Matt Forte, NFC North, Orlando Hudson, Serena Williams, Tennessee Titans, Venus Williams, Will Middlebrooks, Wimbledon. Bookmark the permalink.